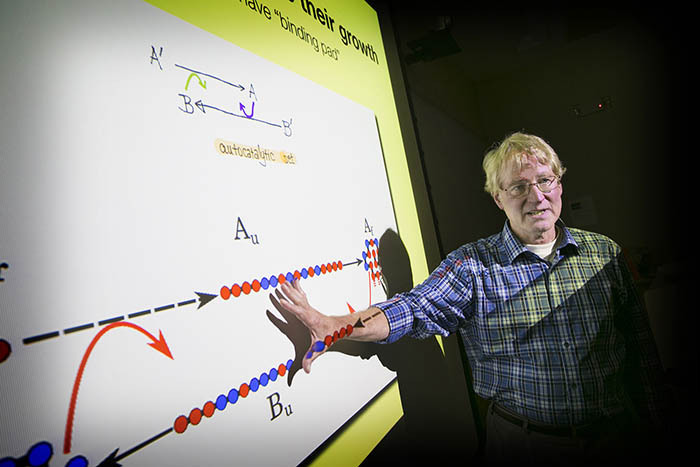 Stony Brook IACS Director Robert Harrison, second from right, leads the SeaWulf computer cluster initiative to further build the University’s computational capacity. 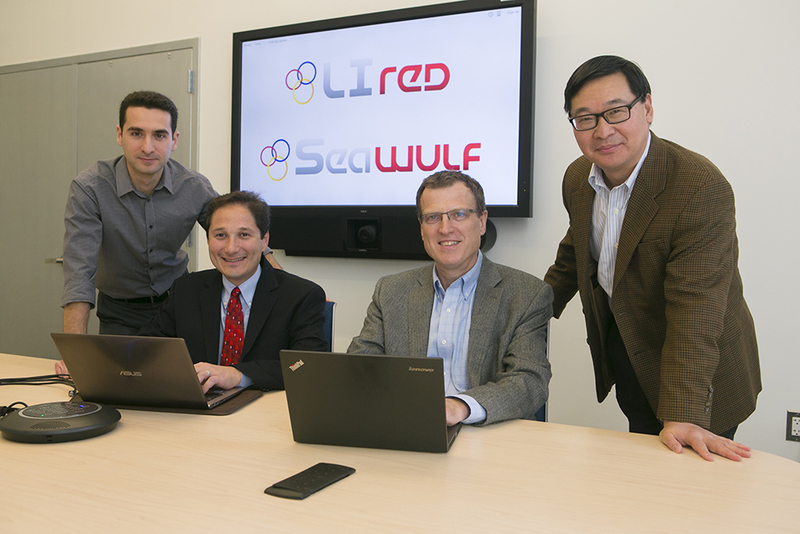 Also instrumental in the implementation of SeaWulf are, from left: Firat Coskun, a Senior Programmer Analyst for IACS and DoIT; Andrew White, Senior Director, Research Computing, DoIT; and Yuefan Deng, Professor of Applied Mathematics & Statistics. 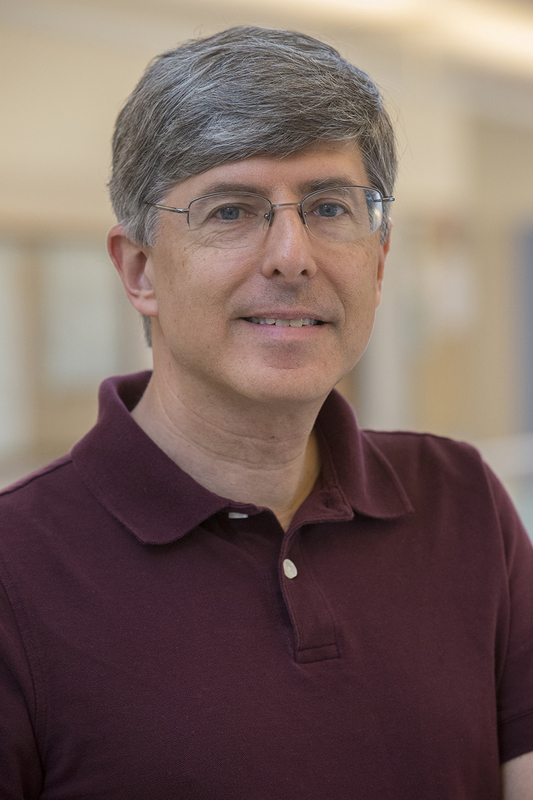 November 5, 2015 – The National Science Foundation (NSF) has awarded the Stony Brook University Institute for Advanced Computational Science (IACS) a $1.4 million Major Research Instrumentation (MRI) grant to acquire an additional high-performance computer system that will further build the University’s computational capacity and big data analyses in research and education initiatives encompassing all fields. Total funding for the computer cluster will reach $2 million, based on $600,000 in matching grants from internal University sources and the Empire State Development’s NYSTAR program ($300,000). To be installed during the first half of 2016, the computer cluster will replace a previous high-peformance cluster, called “SeaWulf,” and be installed within the Division of Information Technology (DoIT). 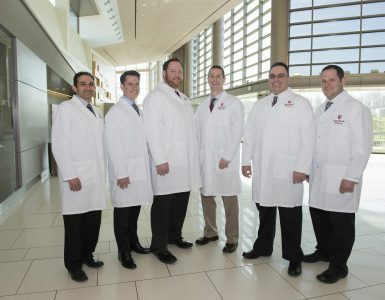 To date the cluster has been an important component to advancing research and education in the areas of Computer Science, Mechanical Engineering, Chemistry, Biomedical Engineering, Applied Math, Physics, Geosciences, Pharmacology and Public Health. The new SeaWulf will have 50 times the processing power of its predecessor enabling faster and more powerful analyses of huge data sets in all these fields of study and in many other disciplines. Students will acquire valuable experience using Seawulf and build the skills they need to work in supercomputing fields such as Information Technology. 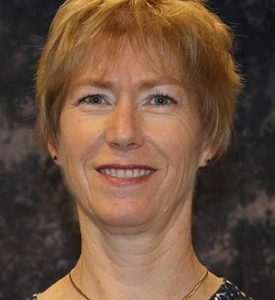 Dr. Harrison added that although the new high-performance computer cluster will primarily be used to support education and research at Stony Brook University, a portion of its capacity (up to 30 percent) will be made available for users across the SUNY educational system and regional industries. One partner with Stony Brook that will have early access to SeaWulf is the School of Arts and Sciences at the College of New Rochelle. The MRI grant and matching funds enables the IACS to purchase and operate SeaWulf for four years. In addition to being designed to greatly enhance the quality and functionality of the research cyber infrastructure, the highly re-configurable and extensible system will also provide significant cost savings for the University. The new system supports both sophisticated and entry-level users through command-line and web-portal access and supports cloud-based software and batch workflows. SeaWulf also provides users with a highly customizable and secure environment while facilitating overall resource management. The computer cluster will be the second high-performance system installed by the IACS within one year. The first was completed in October 2015 and unveiled during the IACS grand opening.